The Queen launched a new Commonwealth Hub which will bring Commonwealth organisations together in the same location to create a collaborative, dynamic and innovative way of working. 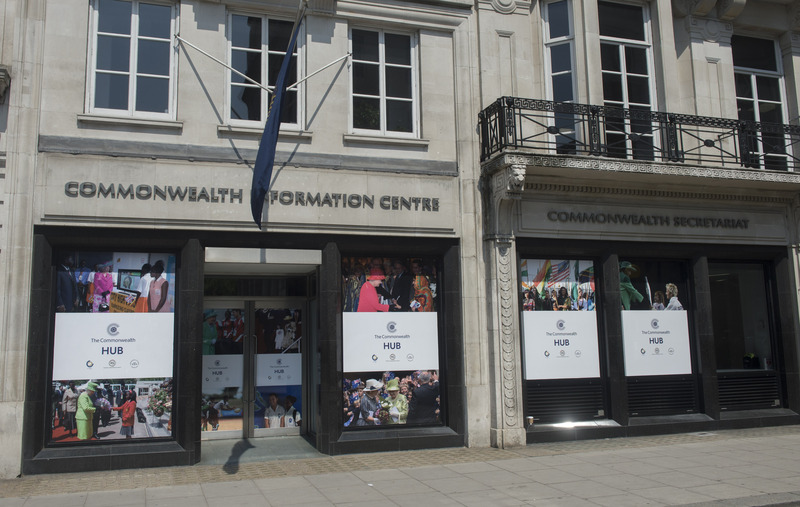 The three Commonwealth organisations that will move to a new combined centre of Commonwealth activity - Marlborough House and Quadrant House - are the Commonwealth Games Federation, the Royal Commonwealth Society and the Commonwealth Local Government Forum. It is expected that other Commonwealth organisations will join the hub in due course with Quadrant House being renamed 'Commonwealth House'. It will become the home of a network of Commonwealth accredited organisations. Inviting The Queen to unveil a special plaque to mark the launch, Commonwealth Secretary-General Patricia Scotland described the monarch as the source of inspiration for the Hub. The Queen has been Head of the Commonwealth throughout her Reign. This is an important symbolic and unifying role. As Head, Her Majesty personally reinforces the links by which the Commonwealth joins people together from around the world. The Queen's official 90th birthday celebrations, which will take place this weekend, will be attended by representatives from 53 Commonwealth countries. The Commonwealth Hub, Secretary-General Scotland said, will help to deliver her vision to work more closely with all Commonwealth organisations to honour the values of the Commonwealth Charter and the commitments on health, education, climate change, good governance, equality and the rule of law. Today The Queen launched a new #CommonwealthHub which will bring Commonwealth organisations, including the Royal Commonwealth Society and the Commonwealth Games, together in the same location to create a collaborative, dynamic innovative way of working. Director of the Commonwealth Foundation, Vijay Krishnarayan added: “Together, Commonwealth organisations represent a breadth of expertise, a diversity of experience, that really helps to animate Commonwealth principles, goals and objectives.